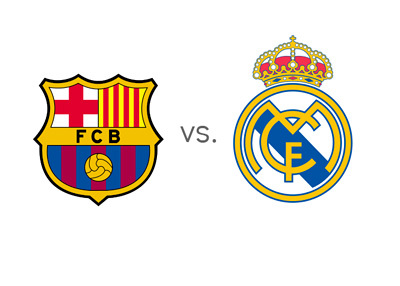 First place Barcelona are hosts to third place Real Madrid in the tenth round of the Spanish La Liga on Saturday, October 26th, 2013 at Camp Nou. El Clasico matches are always entertaining and considering that the two teams are within three points at the top of the Spanish league at the moment, this is a big one. Barcelona are in solid form. They drew with Osasuna last weekend 0-0 in the league and then they split points (1-1) with Milan at San Siro in the UEFA Champions League. After eight straight wins across all competitions, Barcelona drew twice and now they have to face their bitter rivals Real Madrid. Real Madrid seem to be gaining momentum. After an impressive 2-0 win vs. Malaga in the domestic league, they beat Juventus at home in the Champions League. The win vs. Juventus was not dominant, but the team performed well. Barcelona are the favourites. A 100 € bet on Barca could return 80 € in profit, while the same bet on the Madrid side could return 333 € in profit. It is a little surprising to see Barcelona as large favourites here. Didn't Real Madrid beat them at Camp Nou towards the end of last season in the Copa del Rey semi finals? In the league the two teams drew in Barcelona as well. It will be very interesting to see how these two match up on Saturday. Lionel Messi is the favourite to score for the hosts at 4/9 and Cristiano Ronaldo is the favourite to score for the guests at 11/10. With Barcelona and Real Madrid battling each other, this round of La Liga is a great opportunity for Atletico Madrid to solidify their spot at the top.